And with social gatherings come the unpredictability of human interaction: desegregated trash, spills of various liquids, the inevitable wear and tear of the wood itself (not to mention the pesky termites), etc. With all these external factors that could ruin your beautiful and memorable gathering spot, maintaining and cleaning your decking is a must. One may think that the good ol’ soap and scrub method could solve every cleaning issue. However, a decking is more sensitive and complicated than you think. Below are the materials and steps to properly clean a deck. You’ll need to suit up your hands with gloves to give you a good grip when doing the cleaning. They’ll also provide protection from blisters and wounds. You have to make sure that the smallest of dust bunnies and the bigger piles of leftovers are swept away before you do any scrubbing. This makes a good container for water and soap cleaners. You don’t need to get a gas mask; just get one that’ll protect you from allergens so as not to awaken that roaring rhinitis. 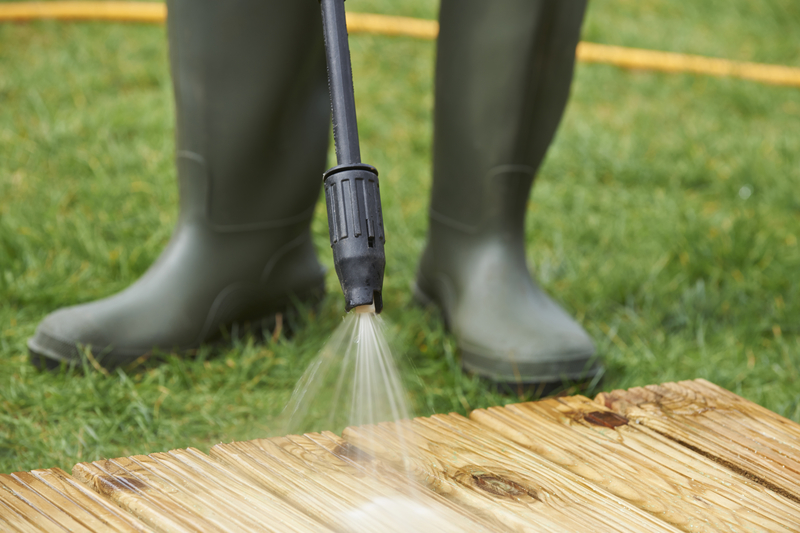 A bucket is helpful, but for a wide decking, making sure to rid it off of soap requires a lot of water. Opt for those with stiff bristles to effectively remove hard-etched stains. You just need to get oxygen/household bleach. Stowaway prized possessions and delicate objects to protect them from being damaged. Segregate and separate the trash. But before starting cleanup duty, gear up first by putting on the mask and gloves. Sweep off dirt on the flooring using the broom or let your vacuum cleaner do the job. Look for any traces of moss and mould and carefully scrape off, especially on hard-to-see areas. Do another sweep again to remove excess dirt from the brushing and scraping. With your bucket, you can now mix a cleaning solution that could help clean the decking thoroughly. 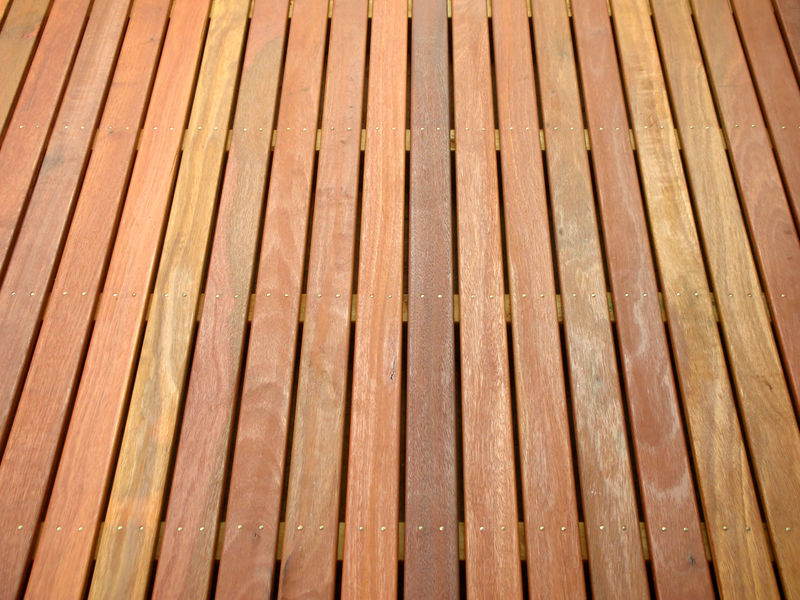 Oxygen bleach with sodium bicarbonate is advisable for wood decking, due to its effective formula for organic stains and mould. Organic laundry detergent works well, too. Avoid using chlorine bleach (sodium hypochlorite) as it could pose health risks such as skin, eye, and lung irritation. With the solution and the brush, scrub the top part, going down in intervals. Rinse thoroughly after each scrub. The water hose works perfectly and efficiently for faster rinsing. Leave your deck after cleaning it for a day to make sure it dries. See if there are any areas you have missed with your scrubbing. If you’re pleased with the results, let it dry for 3 days to 1 week. 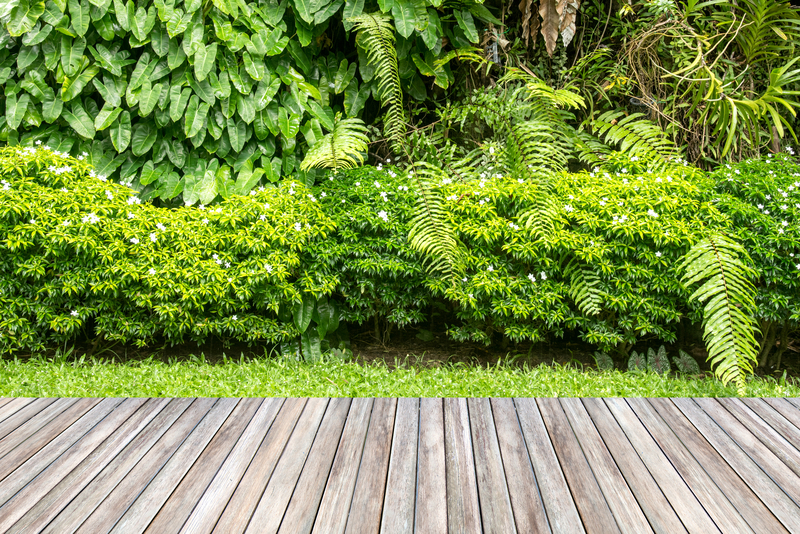 To preserve the overall lifespan and quality of your decking, make sure to clean it at least twice a year. Make sure the drying time is long enough to leave a natural look for the wood.